For the Venezuelan footballer, see Diego Luna (footballer). This name uses Spanish naming customs: the first or paternal family name is Luna and the second or maternal family name is Alexander. Diego Luna Alexander (Spanish pronunciation: [ˈdjeɣo ˈluna aleksanˈdeɾ] ; born December 29, 1979) is a Mexican actor, director, and producer. He has appeared in many films, including Y tu mamá también , Milk , Rudo y Cursi , and Rogue One: A Star Wars Story . He is one of the founders and owners of Canana Films. Rudo y Cursi is a 2008 Mexican comedy film starring Diego Luna, Gael García Bernal and Guillermo Francella. It is directed by Carlos Cuarón and produced by Cha Cha Cha Films. It is Carlos Cuarón's first full-length movie. 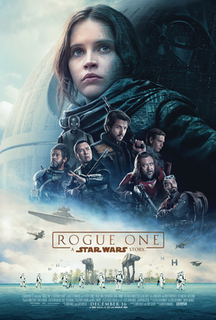 Rogue One: A Star Wars Story is a 2016 American epic space opera film directed by Gareth Edwards. The screenplay by Chris Weitz and Tony Gilroy is from a story by John Knoll and Gary Whitta. It was produced by Lucasfilm and distributed by Walt Disney Studios Motion Pictures. It is the first installment of the Star Wars anthology series, set just before the events of A New Hope, and follows a group of rebels on a mission to steal the plans for the Death Star, the Galactic Empire's superweapon. The cast includes Felicity Jones, Diego Luna, Ben Mendelsohn, Donnie Yen, Mads Mikkelsen, Alan Tudyk, Riz Ahmed, Jiang Wen, and Forest Whitaker. José Alejandro Dionisio Luna Ledesma is a Mexican scenic designer and lighting technician. After starring in many telenovelas, Luna and Gael García Bernal now own Canana Films (which with Tom Golden's Golden Phoenix Productions, produces a number of television documentaries about the unsolved murders of three hundred women in Ciudad Juárez). 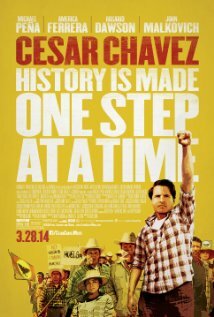 In 2012, Luna directed his first film, the biopic Cesar Chávez , about the eponymous founder of the United Farm Workers. In March 2015, he joined the cast of Ana Lily Amirpour's film The Bad Batch . Luna became a member of the jury for the Un Certain Regard section of the Cannes Film Festival. In Rogue One , he played Cassian Andor, the ally of Jyn Erso (Felicity Jones). Gael García Bernal is a Mexican actor and producer. García Bernal is best known for his performances in the films Bad Education, The Motorcycle Diaries, Amores perros, Y Tu Mamá También, Babel and Coco, and for his role as Rodrigo de Souza in the Amazon Studios' web television series Mozart in the Jungle. He and Diego Luna founded Canana Films in Mexico City. Canana Films is a Mexican film production company. 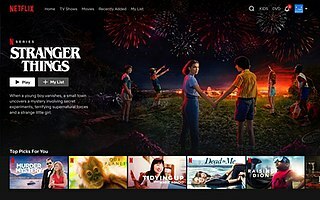 Luna gained greater recognition with American audiences while starring as Mexican drug cartel leader Miguel Angel Felix Gallardo in the Netflix series Narcos: Mexico, which premiered in November 2018. Miguel Ángel Félix Gallardo, commonly referred to by his alias El Padrino, is a convicted Mexican drug lord who formed the Guadalajara Cartel in the 1980s, and controlled almost all of the drug trafficking in Mexico and the corridors along the Mexico–United States border. Camila Sodi is a Mexican singer, actress and model. She is the niece of Thalía and part of the Sodi family. 2013 American Dad! Mauricio (voice) Episode: "Poltergasm"
2018 Trollhunters Krel (voice) Episode: "In Goods Hands"
Y Tu Mamá También is a 2001 Mexican drama film directed by Alfonso Cuarón and co-written by Cuarón and his brother Carlos. The Motorcycle Diaries is a 2004 biopic about the journey and written memoir of the 23-year-old Ernesto Guevara, who would several years later become internationally known as the iconic Marxist guerrilla commander and revolutionary Che Guevara. The film recounts the 1952 expedition, initially by motorcycle, across South America by Guevara and his friend Alberto Granado. As well as being a road movie, the film is a coming-of-age film; as the adventure, initially centered on youthful hedonism, unfolds, Guevara discovers himself transformed by his observations on the life of the impoverished indigenous peasantry. Through the characters they encounter on their continental trek, Guevara and Granado witness first hand the injustices that the destitute face and are exposed to people and social classes they would have never encountered otherwise. To their surprise, the road presents to them both a genuine and captivating picture of Latin American identity. As a result, the trip also plants the initial seed of cognitive dissonance and radicalization within Guevara, who ostensibly would later view armed revolution as a way to challenge the continent's endemic economic inequalities and political repression. Reyli Barba, most commonly known as Reyli, is a Mexican singer-songwriter. He is also a composer and has written songs for artists such as Alejandro Fernández and Beyoncé Knowles. Carlos José Cuarón Orozco is a Mexican screenwriter, film producer, and film director. He is the brother of Alfonso Cuarón, and the uncle of Jonás Cuarón. Alcove Entertainment is an independent film production and finance company, based in the UK and the UAE. Alcove Entertainment has occasionally acted as a distributor for its own films. The company was founded by Amina Dasmal and Robin Fox in 2005. Mario Alberto Domínguez Zarzar, Aka Mario Domm, is a Mexican producer, composer and singer. A founding member of the pop rock band Band Camila, he has won 4 Latin Grammy Awards; 4 Billboard Awards; 11 Premios Lo Nuestro; 14 SACM awards; 5 Juventud Awards, 5 Telehit awards, 4 MTV Awards, 8 ASCAP Awards, 3 Gaviotas de plata Awards and 3 Gaviotas de Oro Awards, 7 Monitor Latino Awards, 2 Los 40 Principales Awards, 1 Orgullosamente Latino Award, and a recognition as a musical genius by Telehit. Casa de mi padre is a 2012 Spanish-language American comedy film directed by Matt Piedmont, written by Andrew Steele, and starring Will Ferrell, Gael García Bernal, Diego Luna and Génesis Rodríguez. It was described to be in the style of an "overly dramatic telenovela" and tells the story of Armando Álvarez, who must save his father's ranch from a powerful drug lord. 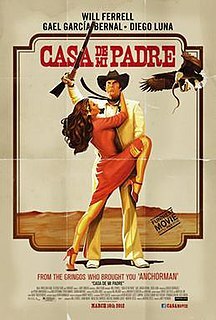 Casa de mi padre was released on March 16, 2012. Four Moons is a 2014 Mexican drama directed by Sergio Tovar Velarde. It stars Antonio Velázquez, Alejandro de la Madrid, César Ramos, Gustavo Egelhaaf, Alonso Echánove, Alejandro Belmonte, Karina Gidi and Juan Manuel Bernal. It was one of fourteen films shortlisted by Mexico to be their submission for the Academy Award for Best Foreign Language Film at the 88th Academy Awards, but it lost out to 600 Miles. Alonso Echánove was nominated for an Ariel Award for Best Supporting Actor in 2015 for his role in Cuatro Lunas. Cesar Chavez is a 2014 Mexican-American biographical film produced and directed by Diego Luna about the life of American labor leader Cesar Chavez, who cofounded the United Farm Workers. The film stars Michael Peña as Chavez. John Malkovich co-stars as the owner of a large industrial grape farm who leads the opposition to Chavez's organizing efforts. It premiered in the Berlinale Special Galas section of the 64th Berlin International Film Festival. Samuel Parra Cruz, known professionally as Samo, is a Mexican pop singer and songwriter, born and raised in Veracruz. Samo rose to fame in the late 2000s as a member of the band Camila. Señorita Pólvora is a television series produced by Teleset for Sony Pictures Television and Televisa, which will be broadcast in the Latin American by TNT. It is the story of a Beauty Queen, who gets involved in a hit, which led to the premature death of her father. A que no me dejas, formerly known as A que no me dejas, corazón, is a Mexican telenovela produced by Carlos Moreno for Televisa. It is a remake of the Mexican telenovela Amor en silencio, produced in 1988. Compadres is a 2016 Mexican-American action comedy-drama film directed by Enrique Begne and co-written with Ted Perkins and Gabriel Ripstein. 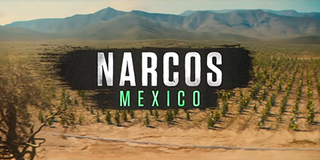 This film featured a cast of Mexican and American actors made up of Omar Chaparro, Aislinn Derbez, José Sefami, Erick Elías, Camila Sodi, Joaquín Cosío, Héctor Jimenez, Eric Roberts, Rip Torn, Joey Morgan and Kevin Pollack. Tatiana Huezo Sánchez is a film director of Salvadoran and Mexican nationality, residing in Mexico. Her first film, El lugar más pequeño (2011), a documentary about the Salvadoran Civil War, has been awarded internationally. In 2016 she premiered Tempestad, the story of two women who suffer the consequences of human trafficking in Mexico. It received the 2016 Fénix Award for Best Documentary. ↑ "On a roll: Diego Luna's movie career is smokin' hot". The San Diego Union-Tribune. 2014-08-15. Archived from the original on 2008-10-11. Retrieved 2016-12-18. ↑ Javier, Frank; Beruman, Garcia (2014). Latino Image Makers in Hollywood. McFarland. ↑ "LATINO FESTIVAL LAUDS LUNA". ↑ "Diego Luna Biography (1979-)". ↑ "Two Film Production Companies Plan to Fund and Produce Documentary Films in Mexico". 2010-05-20. Retrieved 2016-12-18. ↑ Wilkinson, Tracy. "Diego Luna's Cesar Chavez Movie Marches in Mexico." Los Angeles Times. July 1, 2012. Accessed 2012-10-14. ↑ "Ana Lily Amirpour's Cannibal Film Gets Interesting Cast - Bloody Disgusting!". 20 March 2015. ↑ "Un Certain Regard Jury 2016". Cannes Film Festival. 28 April 2016. Archived from the original on 2016-05-01. Retrieved 28 April 2016. ↑ "Diego Luna and Wife Announce Split". Fox News Latino . 25 March 2013. Retrieved 23 June 2013. ↑ "Diego Luna and Camila Sodi Welcome Son Jerónimo". People . 15 August 2008. Retrieved 19 April 2011. ↑ Leon, Anya (2 July 2010). "Diego Luna, Camila Sodi Welcome Daughter Fiona". People . Retrieved 19 April 2011. ↑ "Ambulante A.C." Ambulante A.C. 1 June 2012. Retrieved 1 June 2012. ↑ "WOLA's Human Rights Awards". Washington Office on Latin America. 20 September 2011. Archived from the original on 6 April 2012. Retrieved 1 June 2012. ↑ "Board of Directors". Washington Office on Latin America. 21 September 2011. Retrieved 1 January 2015. ↑ "Nuevo video de WOLA narrado por Diego Luna y reporte: Niños migrantes mexicanos olvidados en la frontera". Washington Office on Latin America. 22 January 2015. Retrieved 22 January 2015. ↑ Buchanan, Kyle (14 April 2011). "Will Ferrell's Spanish-Language Movie: ¿Qué?". New York Magazine . Retrieved 19 April 2011. ↑ McClintock, Pamela. "Participant Media Picks Up Diego Luna's Historical Drama 'Chavez' for North America." The Hollywood Reporter. June 5, 2012. Accessed 2012-10-14. ↑ Vena, Jocelyn (4 November 2011). "Katy Perry, Diego Luna Break Up In 'One That Got Away' Tease". MTV . Retrieved 16 November 2011. Wikimedia Commons has media related to Diego Luna .